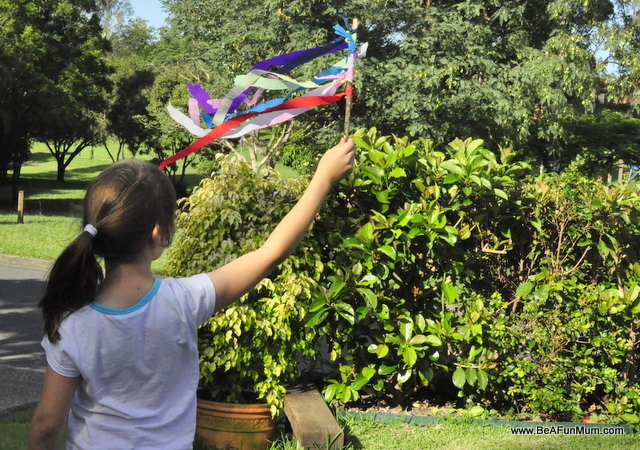 As I look back over 15 years of parenting, I realise the toys I purchased are less important for valuable imaginative play; it’s the props we use around and with the toys that have made the play so valuable. 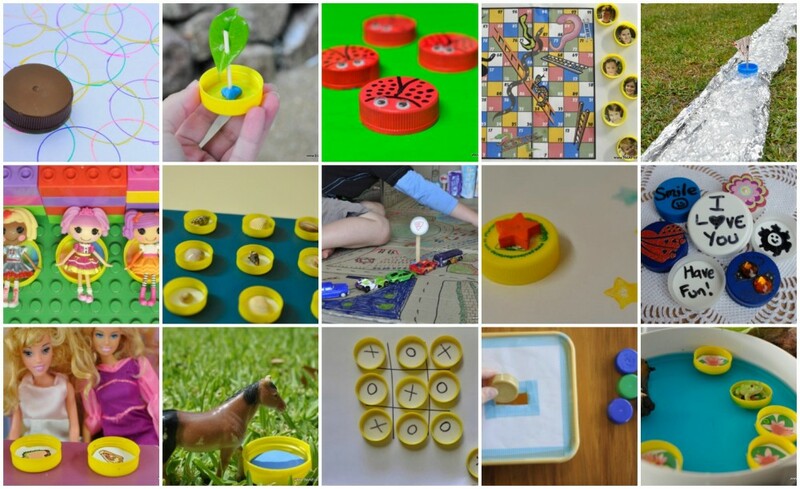 There are certain everyday items that have proven to be worthwhile for facilitating fun for my kids, and they are items you will often have in the house. These are items I’ve used time and time and time again. I’ll list them below and how we use them. I went out and purchased a cheap king size top sheet for play because I used it so much for the kids. Cost me about $10. This means I don’t need to worry about wrecking it etc. Lay in the backyard as a picnic mat. Throw a few cushions on and read books. Put on the ground in front of the tv for movie night. As a rare treat, my kids get to eat dinner in from of the television. After they are done, shake outside and wash.
Place over table for a cubby house (underneath). Do shadow shapes. Hang a sheet up in the house (use a rope or find some way to hang it). Turn lights out and have a lamp at the back of sheet where the person doing the shapes is. Do hand shapes, body shapes or make paper shadow puppets. Could do a guessing game! 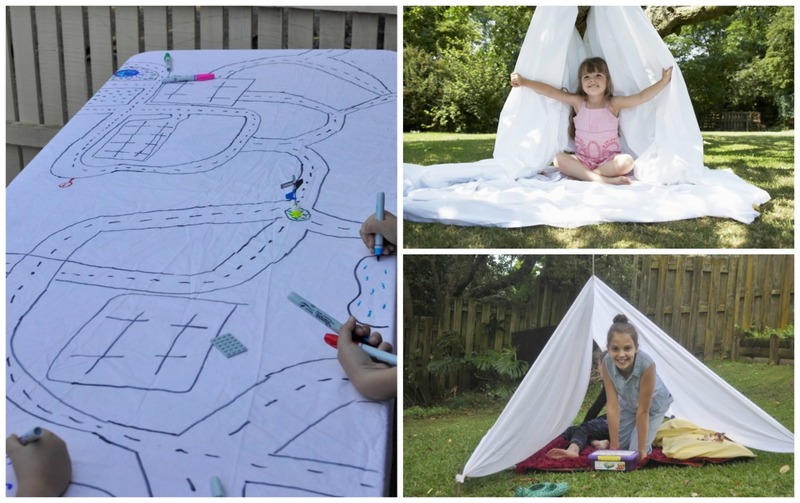 Use a sheet to set up a play space inside. 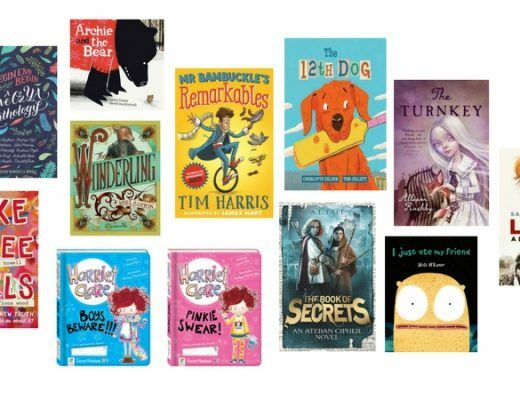 Check out examples here and here. Hang a sheet on the line outside or the fence. Put food colouring and water in a spray bottle and spray “paint” the sheet. Best. BEST thing for play over the years! I use an underbed container for heaps of things! 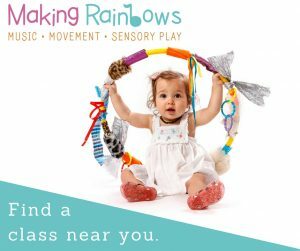 This has especially good for our family because we’ve had to move so much too, so this is an easy way to do messy/sand play without the need for a dedicated space. I’ll put links below to the relevant posts, and the other ways I use these containers for play. Craft: good for containing messy crafts and activities, like moon sand, collage (makes it easy to sift and find things) or marble painting. For bubs and toddlers, place on the floor and fill with toys or kid-safe plastic items from the cupboard like cups, spoons and bowls. They can take items out and put them back in. I don’t know about you, but our family goes through a lot of toilet rolls every week! 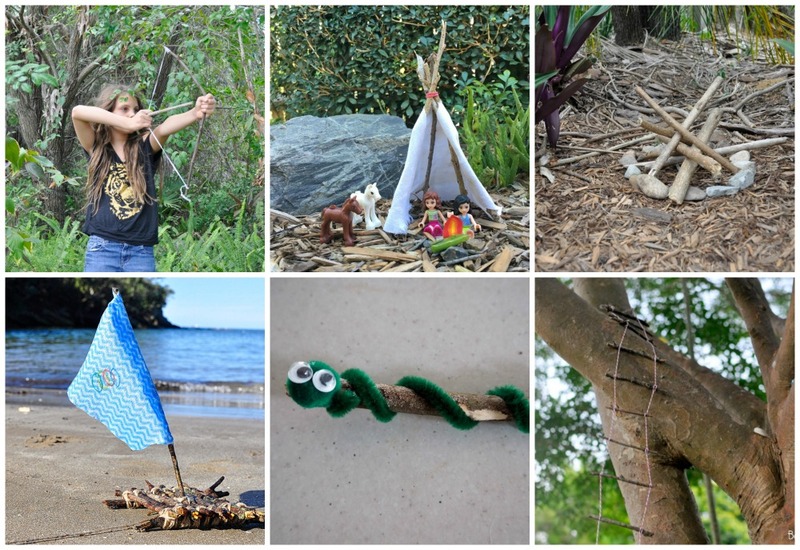 We always have them lying around, and so over the years I’ve found heaps of ways to use them for children’s play. I’ve even started my own line of printables to use with rolls. Construction: Collect a heap of rolls over months and keep in a box in the cupboard. When it comes to school holiday time, get them out, give the kids a heap of washi or regular tape and challenge them make something awesome. Outdoor Play: binoculars are easy to make, and also a telescope. 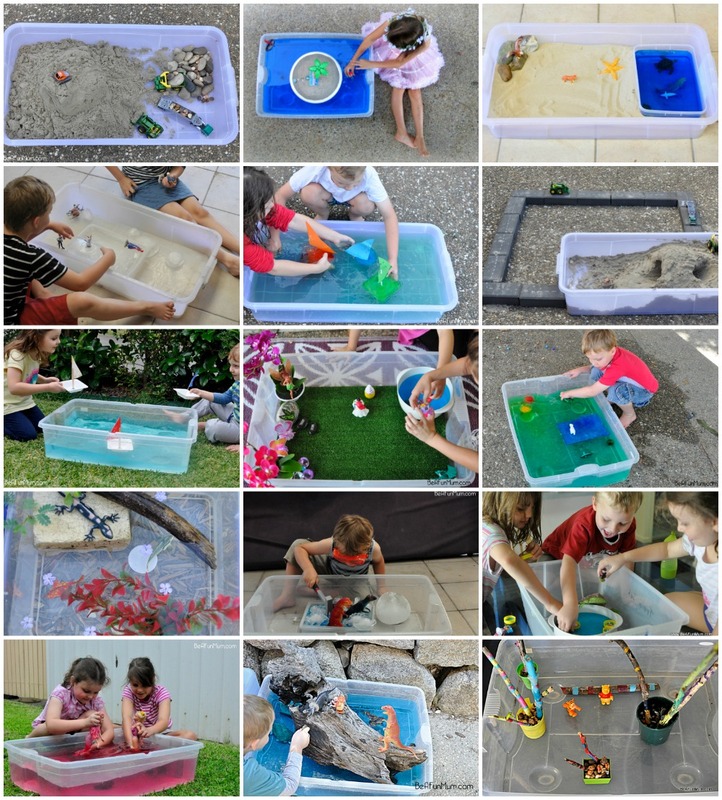 Great fun for outdoor games. Gardening: Grow seedlings in toilet rolls. Another item we go through a lot of: milk! 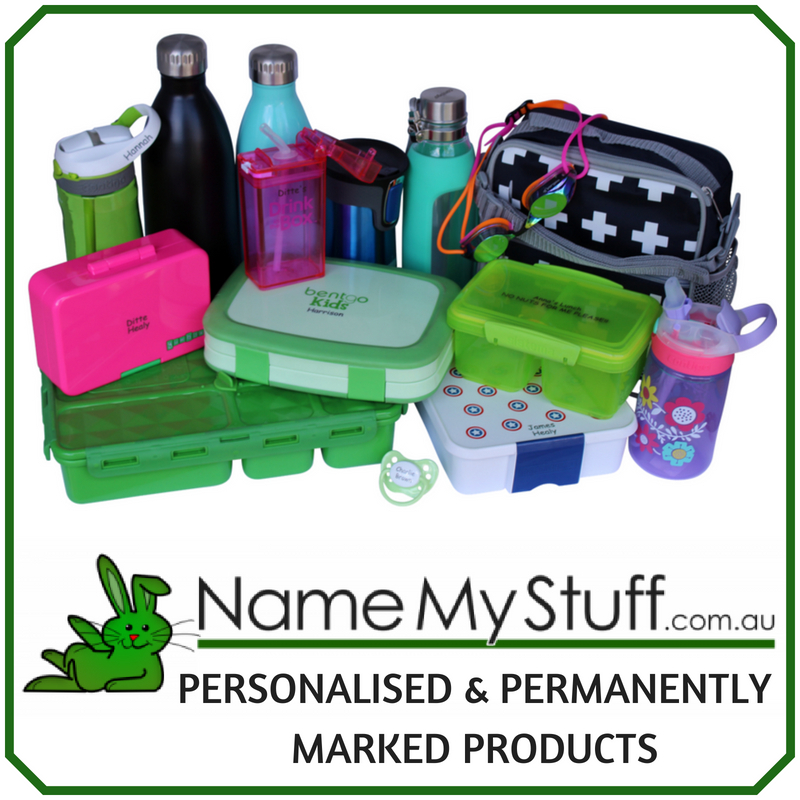 We have heaps of lids around. Just google ‘lid craft’ and you’ll find heaps or check out my own link below. Lid boats: See ideas on how to play with them here and here. 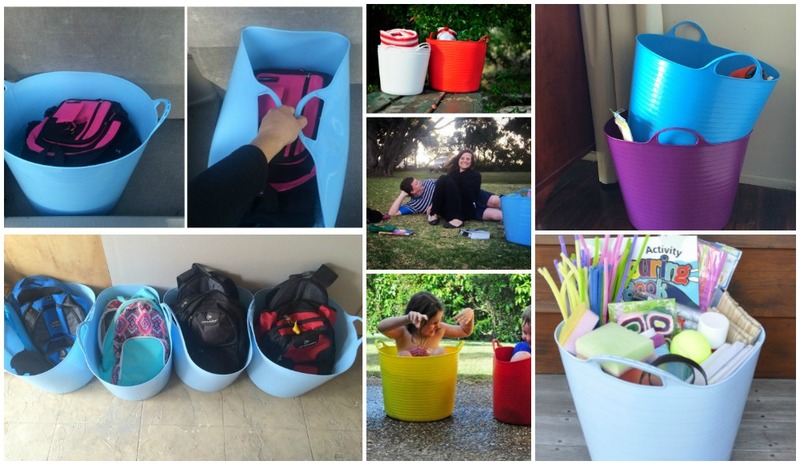 These rubber tubs became popular about 5 years ago, and I have found them so useful around the house for organisation and play. Packing Picnics – put all items needed in the tub and take to back of car and then with you at your destination. Do a big batch of bubble mixture (find recipe here) in a tub for birthday parties. Have a big tub of water in the backyard for when the kids play with water pistols. So much easier to fill up in a tub than at the tap. Here’s a fun water pistol game idea: Shoot the bubble target. Float milk bottle lid boats or stick rafts inside. Do a throwing game. Throw balls or other items from a distance into the tub. Make a school holiday kit. 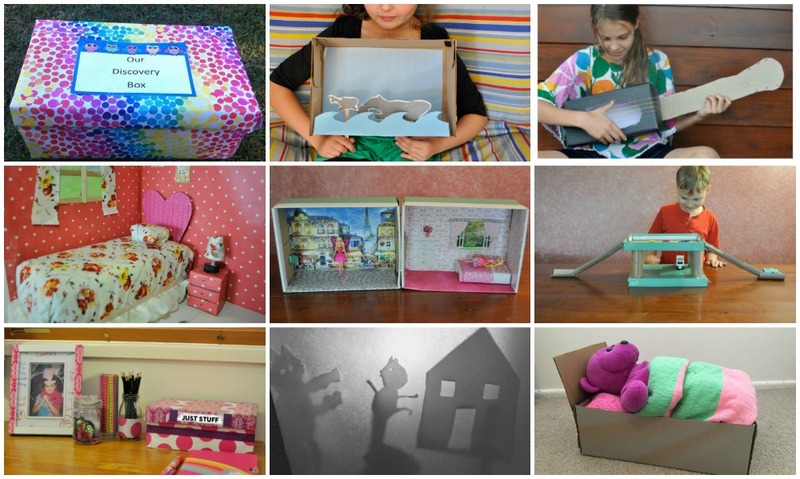 Paper is such a simple thing but it’s proven to be gold for creative play. 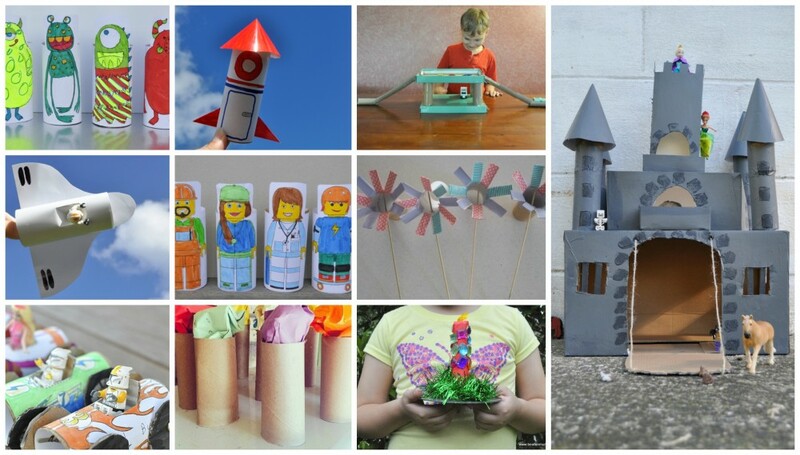 There are a lot of printables online now so you can create so many of your own things. Plus paper is great for drawing and other craft items too. Keep a piece of paper and pens in a handbag fun kit. DIY Books. 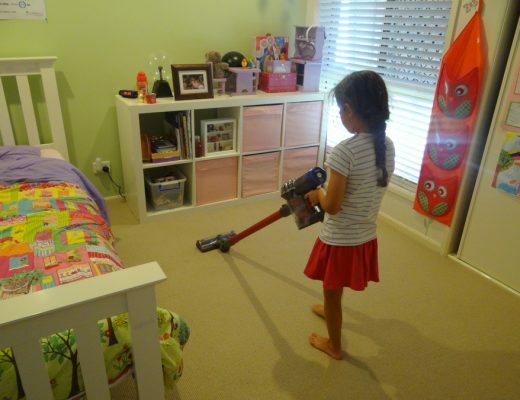 Kids can google images of interest – e.g. 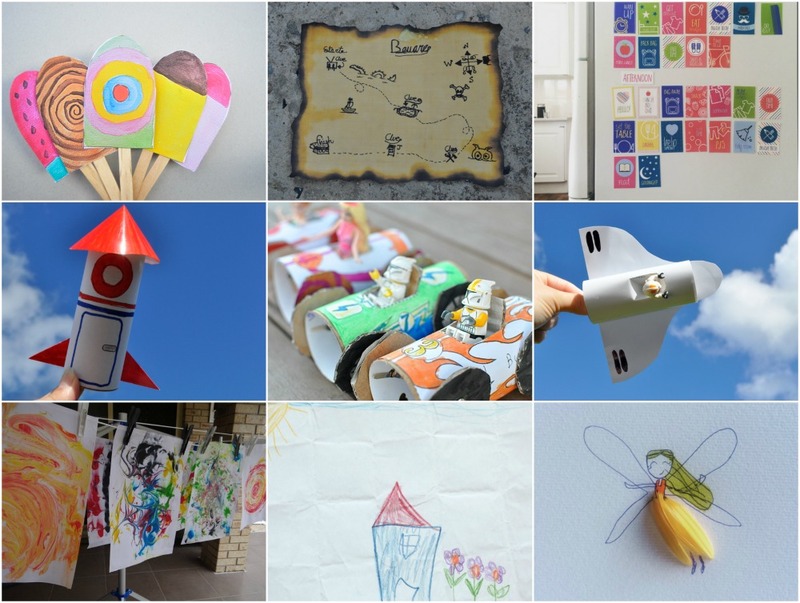 planes, horses – and add them to a doc, add words and print it out. Check out my routine cards here. Design your own party invitations. Either make your own or print off something already designed from the web. We tend to have a rush of shoe boxes around back to school time and we always seem to have them lying around. You only have to walk outside or go for a stroll in the park to find some sticks and twigs, and they can be used in all kinds of fun ways. The last item I use over and over again is these little plastic bowls I purchased from Coles for about $5 six or seven years ago. 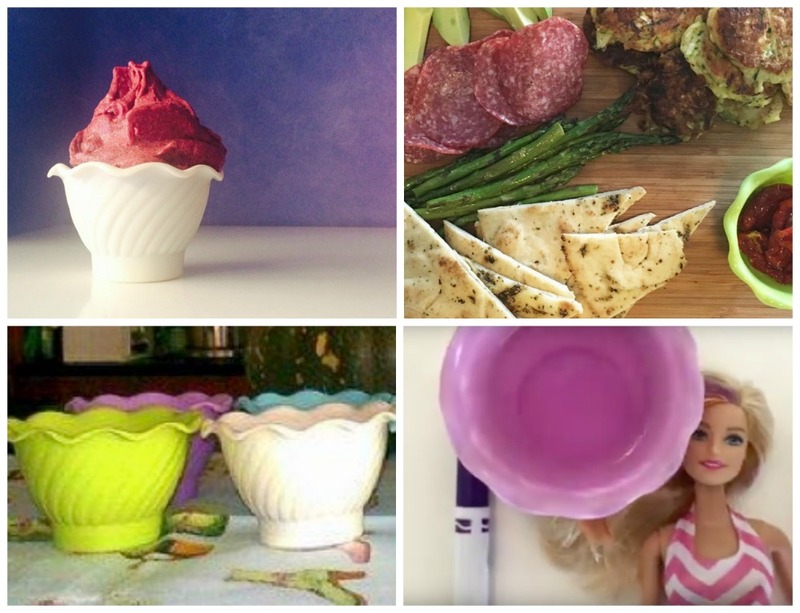 Cutting up or sectioning food into little bowls seems to make it so much more fun for kids. They can be great for play too. Use bowls for crackers, popcorn, custard, ice-cream, cut up apple, to seperate ingredients for make your own pizza night etc. 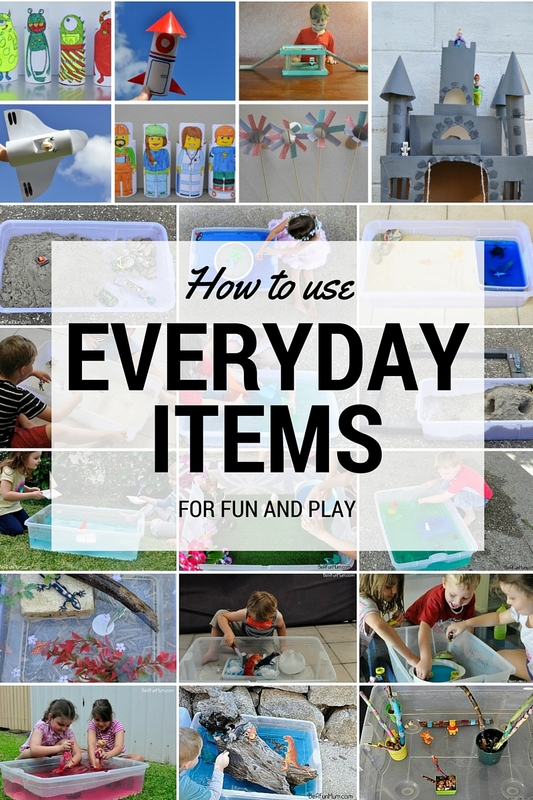 If there is an everyday items you use a lot of play in your family, let me know!